Science: is there anything you can’t make better? 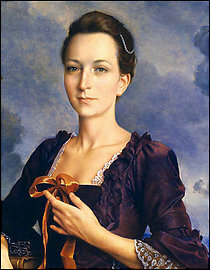 Martha Washington was hot. Who knew? Forensic anthropologists, that’s who. except for the part about the aliens, probably. This entry was posted in Uncategorized and tagged forensic anthropologists, helen hunt, martha washington, science. Bookmark the permalink. I have a serious thing for Helen Hunt. Always have. I own “What Women Want.” Who owns that movie?